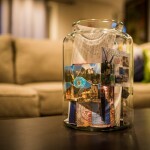 Five years ago today, we sat in a lounge at the Doubletree Hotel in Rochester, Minnesota, and published our first-ever blog post on postcardjar.com. 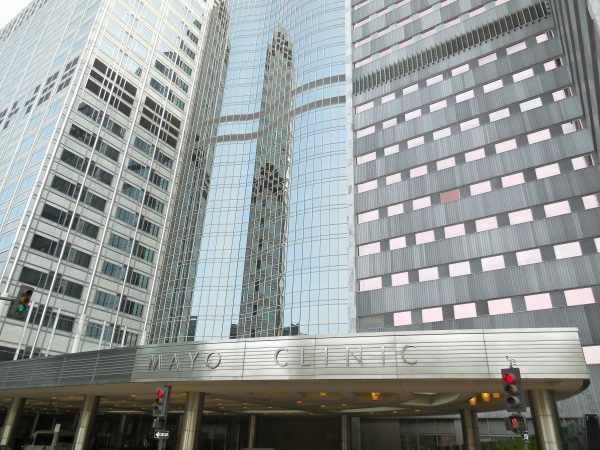 It was the day before I would undergo a procedure at the Mayo Clinic that would eventually diagnose me with a chronic inflammatory disease. Steve was still working as a middle school principal and we needed a little inspiration distraction in our lives. To date, that post has only been read 290 times. 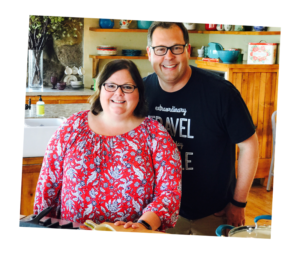 Yet five years later, our blog is garnering tens of thousands of page views each month, we are traveling to places we’ve never been, and we are making the most of midlife, despite my health challenges. We cannot thank all of our readers enough for following along on our journey and being so engaged with our blog. We love reading your comments, answering your questions, and getting your postcards in the mail. In case you’re new here or missed something along the way, here’s a look back at some of the highlights of our fifth year of blogging. 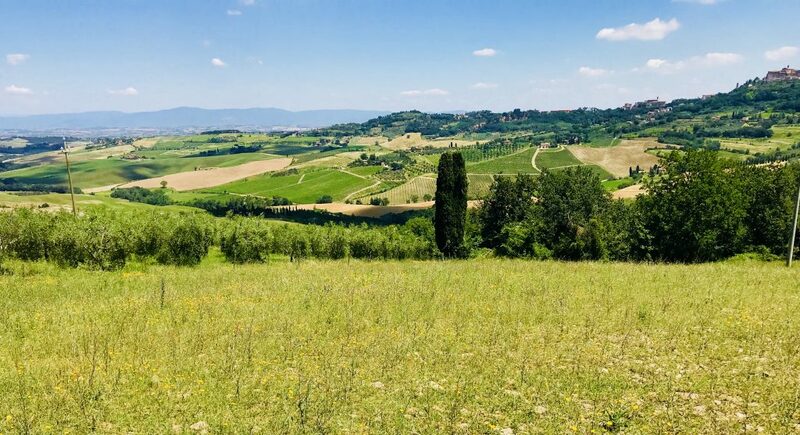 We spent about a month in Italy and Greece last Summer, learning about wine production, eating pasta and spanakopita, and immersing ourselves in the culture. Steve wrote about his Tuscan food coma and I blogged about a unique wine tasting in the woods and one of our cooking classes there. One of our favorite parts of that trip was our visit with our hosts Deb and Massi to Valdobbiadene, Italy, where Prosecco wine is made. Here are of stories we wrote about it. We were thrilled when a Canadian company called The Chef and the Dish called us to ask if we’d be interested in a partnership. As soon as they said they’d like to connect us with and Italian chef via Skype to learn to make dishes featuring Parmigiano Reggiano cheese, we were in. 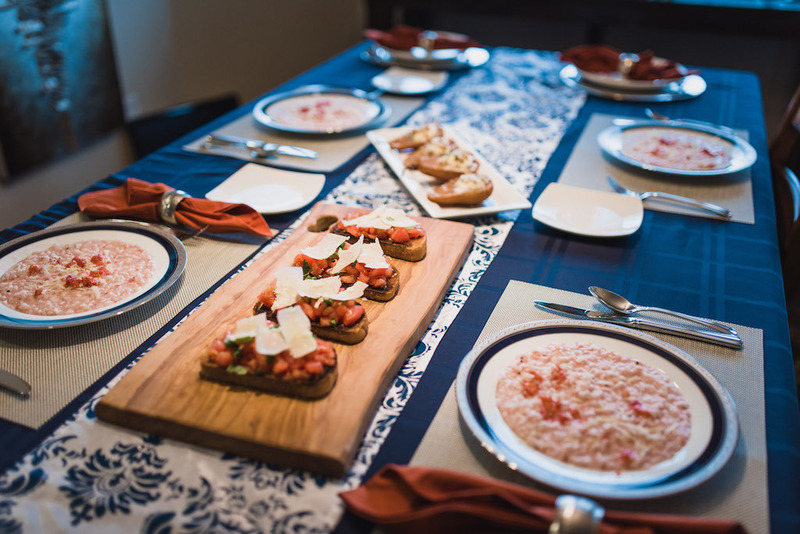 We invited our friends, Jeff and Ciana, to join us for Chef Paola’s lessons on how to make delicious bruschetta, strawberry risotto and poached pears. 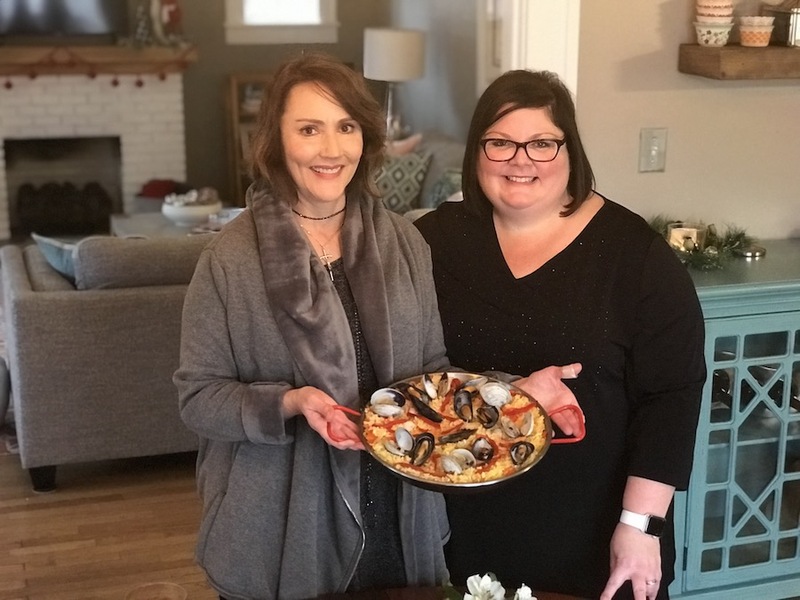 A few months later, they invited Ann and our friend Cyndi (Hyacinth) Kane (aka The Pioneer Woman Ree Drummond’s BFF) to learn to prepare paella with Chef Ana from Spain. Both experiences were unforgettable and we highly recommend trying a class with The Chef and The Dish. In late summer, we bit the bullet and hired someone to help us design a new (and improved) website. 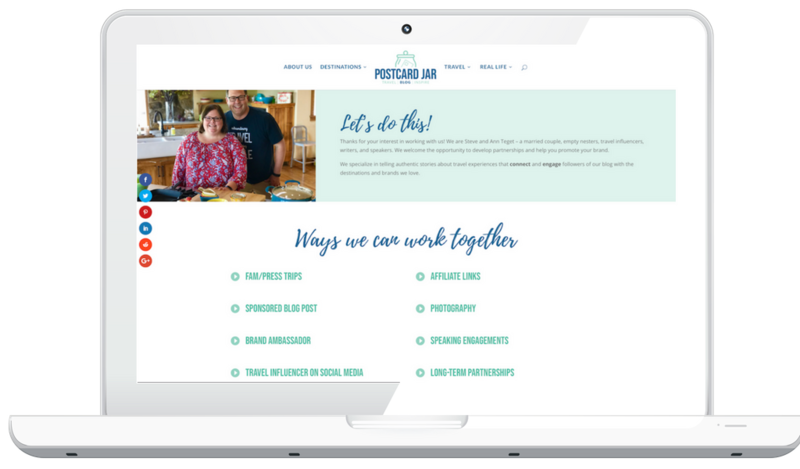 With the help of Kelly Diekmann and KDesign, we went from 86 categories to 18 (no joke), changed our home page, and added a whole “work with us” section and our Instagram feed. We love the new design and functionality of our site and y’all seem to spend more time here now. In the fall, we spent a week driving through Iowa and exploring new towns. 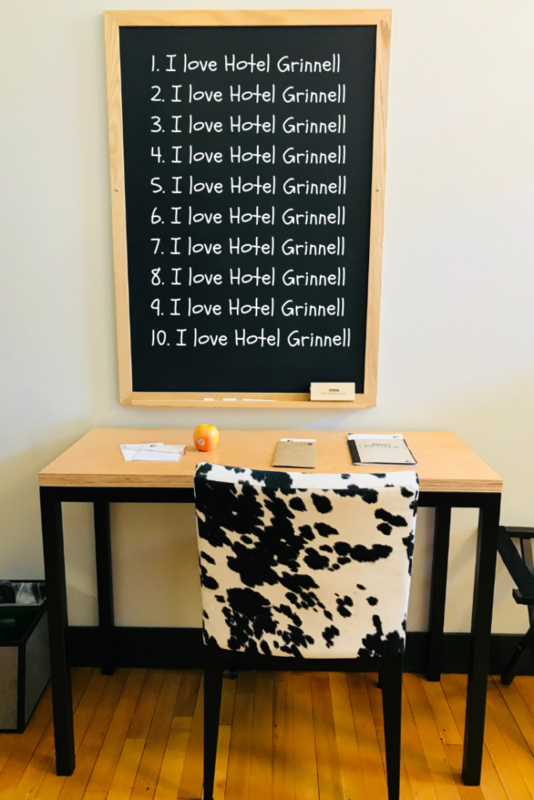 We found 15 photo-worthy stops in Grinnell and had a fantastic stay at Hotel Grinnell, which was once a junior high school. Pinter’s Gardens and Pumpkins near Decorah provided us with a great place to play, and we tasted a coffee-flavored beer at Pivo Brewery in tiny Calmar. Our last stop was in Clear Lake, Iowa, where we found all kinds of things to do in the offseason and had lunch at one of our favorite delis, the Starboard Market. In January, we escaped the cold of winter in the midwest and headed south for long road trip. We spent more than a month stopping at Crystal Bridges Museum of American Art and the Walmart Museum in Bentonville, Ark. We visited Greenville, Miss., where Steve got his start in teaching and had got a seat in the kitchen of the original Doe’s Eat Place. We still have lots more to write about this trip, including our visit to the Georgia Aquarium, our time in the Florida Keys, and our cruise aboard the Celebrity Edge, so stay tuned. 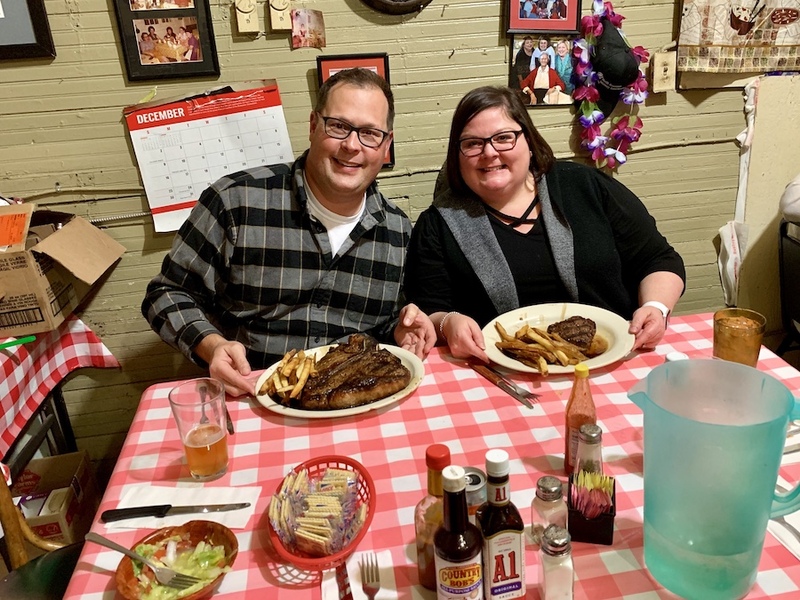 Of course, we wrote several posts about Pawhuska, Oklahoma, home of The Pioneer Woman and now us. Yes, we bought a house there in August and have been fixing it up and spending more and more time there. 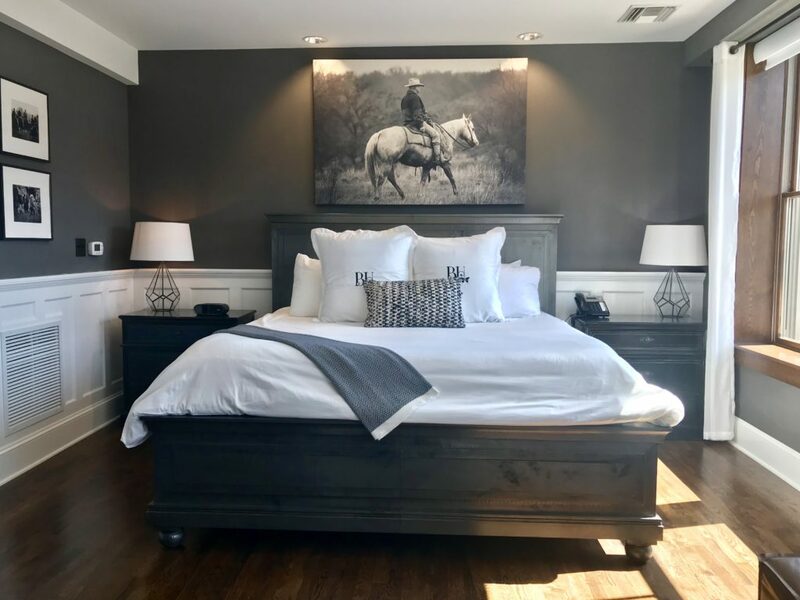 Steve wrote a blog post about 8 things for men to do while their wives shop at The Mercantile, and we confessed that we’ve slept around Pawhuska, including several nights in The Pioneer Woman Boarding House. We seem to get lots of readers who are searching the internet for things to do in Pawhuska and we’re very proud to have the second most popular blog in in town. As we look back on year five, we are so grateful for the incredible opportunities we’ve had. Not only have we traveled to great places, tried interesting foods, and had unforgettable experiences, we’ve also been blessed by the people we’ve met along the way. Whether we’ve met in person or over the internet, we are so thankful for each of you. Your continued support and encouragement of our blog is just amazing. We hope you know that you mean the world to us. Happy Anniversary! I love following along on your adventures and have enjoyed seeing you grow, yet remain yourselves, in the last year! Congratulations! Thanks so much for following along and for your kind words. We’ve really enjoyed this new journey and can’t people like you enough for your support and encouragement. Thanks, Sara. You’re continued support and encouragement is such a blessing.